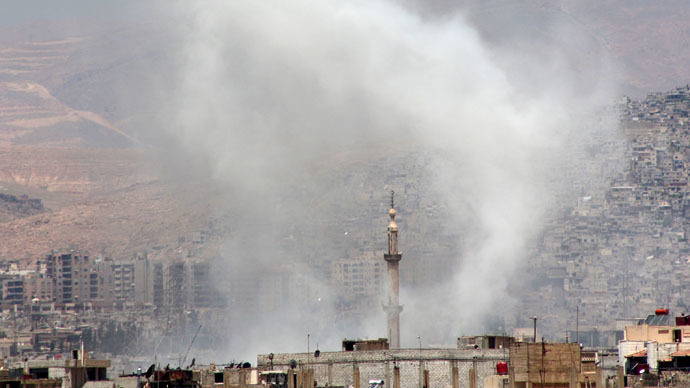 The Russian embassy in the Syrian capital of Damascus was shelled on Tuesday, with Moscow stating that it considers the attack on its diplomatic mission an act of terror. Two mortar rounds landed on the premises of the Russian Embassy in the afternoon, “one of them fell near the main entrance, the other hit an administrative building," Asiya Turuchiyeva embassy's spokeswoman, told RIA Novosti. There were no fatalities or injuries as a result of the mortar attack as it happened during the lunch break, the spokeswoman added. “We treat the incident as terrorist act, aimed against the Russian Embassy. We strongly condemn its perpetrators, organizers and instigators. We reaffirm our solidarity with the Syrian authorities in their efforts to combat the terrorist threat in the territory of Syria,” Aleksandr Lukashevich, Russian Foreign Ministry spokesman, said. Moscow urged the international community “to give due assessment to the terrorist attack against the Russian diplomatic mission” and demanded “an immediate cessation of such acts” from all parties with influence on the extremists in Syria, he added. Syrian authorities were quick to respond, promising to boost security and ensure the Russian Embassy’s safety. The UN Security Council has strongly condemned “the terrorist attack” against the Russian embassy in Damascus, calling for those responsible to be brought to justice. “The members of the Security Council recall the fundamental principle of inviolability of diplomatic and consular premises and obligations of host governments to take all appropriate steps to protect diplomatic and consular premises against any intrusion or damage,” ambassador and Permanent Representative of Lithuania Raimonda Murmokaite told journalists. 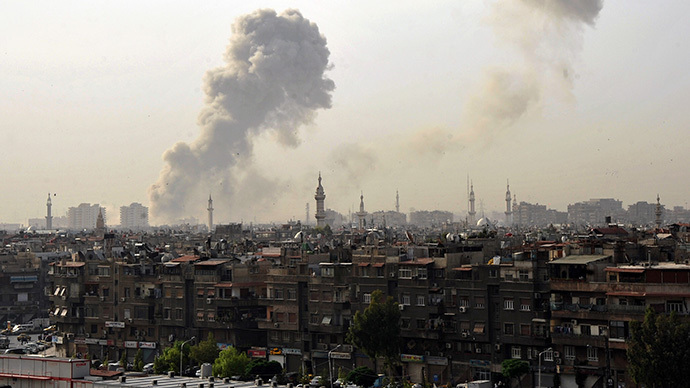 It’s the second time the Russian embassy in Damascus has been shelled this year. The previous incident occurred in January when a shell hit the roof of the consulate’s building. Syria has been engulfed in a bloody civil war since March 2011, with government forces of President Bashar Assad fighting various opposition and terrorist groups, including the Al-Qaeda-linked Nusra Front and Islamic State. Over 220,000 people have been killed and around 5 million made refuges during the four-year conflict, according to UN estimations.